Drag racing has unique features which make it stand out from other motor sports. These differences give rise to some unusual, and sometimes puzzling, descriptive words and phrases. It's a special language which is perfectly understood by those closely involved in the sport, but the weird words aren't as easily deciphered by newcomers. 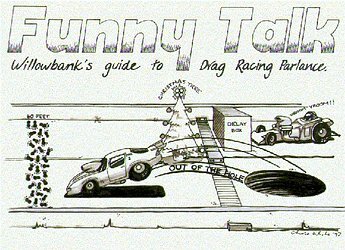 Here is a quick guide to Funny Talk, drag racing's terminology. BUG CATCHER: Scoop-like fuel injection assembly on top of a supercharged engine. BUMP SPOT: The vulnerable last position in a limited field, where a vehicle is in danger of being "bumped'' out by another team's quicker qualifying time. BURNOUT: A slick demonstration. Spinning the rear tyres in water to heat and clean them. A burnout is a procedure used by most vehicles to gain maximum traction before a pass down the quarter mile. BURNOUT PAD: Not a smoky singles residence, rather a concrete slab behind the start line on which static burnouts are permitted. 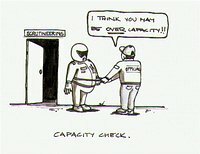 CAPACITY CHECK: Various methods Stewards use to verify the size of an engine. CHUTE: Short for parachute. Used on some vehicles to assist high-speed braking. DELAY BOX: A unit which provides a pre-set time delay, enabling a racer to react to an amber light on the Christmas tree as it comes on. The aim is to improve start-line consistency. ELAPSED TIME: The time taken by a vehicle to traverse the quarter mile. ELIMINATIONS: Vehicles raced two at a time, resulting in one winner and one loser. The losers retire from racing while the winners continue in tournament-style competition until one remains. FUEL CELL: Fuel tank specially constructed for a drag racing car. FUNNY CAR: Name given in the 1960s to modified (or funny-looking) Super Stock vehicles which evolved into today's fibreglass and carbon fibre-bodied cars. GROOVE: A thicker layer of rubber in the centre of the race track. Most racers talk of "getting out of the groove'', meaning their vehicle has moved outside this traction-friendly zone. HANDICAP RACING: Contests in which one vehicle gets the green light ahead of the other. The purpose is to allow vehicles with different performance levels to compete against each other. HEADERS: Fine-tuned exhaust system routing exhaust gases from the engine. HEMI: Generally an engine with a combustion chamber resembling a hemisphere or round ball, cut in half. HOLESHOT: A start-line advantage gained by a quicker-reacting competitor. INTERVAL TIMERS: Part of the secondary timing system that records elapsed times, primarily for the racer's benefit, at 60ft, 330ft, 660ft (half track) and 1000ft. LEG OUT OF BED: An errant connecting rod on the outside of a motor; the result of an engine explosion. NITROMETHANE: Produced as a result of a chemical reaction between nitric acid and propane, nitromethane contains enough oxygen to support combustion on its own. Used in Top Fuel, Funny Car and Top Bike eliminators. 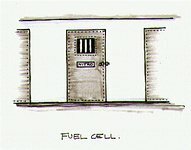 A Top Fuel car uses about 3 gallons per quarter-mile pass, or 2880 gallons an hour. A fully loaded jumbo aircraft uses about 3500 gallons of fuel an hour. Other uses: medicine (the ulcer drug Zantac is based on nitromethane), fumigant, parts cleaners. NAPPY: A blanket made from ballistic and absorbent material that surrounds the oil pan and serves as a containment device during engine explosions. NITROUS: Gaseous substance consisting of 66 percent nitrogen and 33 percent oxygen used on some cars to increase horsepower. Like nitromethane, it promotes the burning process by adding its own oxygen to the combustion process. 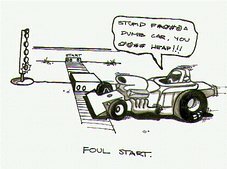 OILDOWN: Accidental loss of oil from a vehicle on to the racing surface. The amount lost and how widely it is spread determines how long the cleanup will be. OUT OF THE HOLE: The constant launching of vehicles, particularly heavy ones, causes a thinning of the rubber build-up rather than a "hole'' on the start line, but racers refer to a vehicle launching "out of the hole". OVERTYRED: A vehicle with large rear tyres unevenly matched to its horsepower. ROCKERS: Rocker arm shafts and rocker arms that open the valves; part of an engine's cylinder head valve train. ROLL CAGE: A strong frame built inside a vehicle to protect the driver in the event of a rollover. RPM: Revolutions per minute, or rpm, is a measure of engine speed as determined by crankshaft spin. SHOEBOX: Fifties-model car noted for its squarish, unaerodynamic qualities. SIXTY FEET: The point, 60ft from the start line, where the first of the interval timers is located. SLICKS: Treadless tyres made of a soft rubber compound, designed for maximum traction during hard acceleration. Often inflated to only four pounds of pressure. STAGING LANE: The designated waiting area before making a quarter-mile pass. STICK SHIFT: A manual transmission requiring a clutch and manual gear changes. 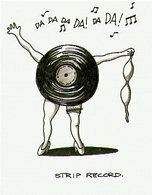 STRIP RECORD: Now don't get excited about this one. The "strip'' is the strip of bitumen which forms the quarter-mile racing surface, elapsed time records of which are kept for a multitude of classes. SUPERCHARGER: Crank-driven air-fuel compressor which raises atmospheric pressure in an engine, resulting in added horsepower. TIPPING THE CAN: Increasing the dose of nitromethane (and therefore the power). TOP ALCOHOL: Heads-up eliminator (see Pro tree) for vehicles fueled by technically pure methyl alcohol (toxic) produced by synthesis. TRAPS: Although there are traps for the unwary in any sport, this refers to the final 66 feet to the finish line, known as the speed traps, where the maximum speed of a vehicle is recorded. TURBOCHARGER: Exhaust-driven intake air compressor. Effectively a pump which uses the hot gasses expelled from an engine to force air into the cylinders at considerably more than atmospheric pressure, resulting in greatly increased power and torque. TYRESHAKE: The causes are as many as there are components in the drivetrain. The tyres try to break traction but are sticky enough to keep applying the power. The result makes the tyres wobble, bobble and hop. It happens so quickly the tyre appears to be shaking violently. Can cause severe damage to the drivetrain, suspension and chassis, not to mention a headache for the battered driver. WEDGE: An engine with a combustion chamber resembling a wedge. WHEELSTAND: Launching a vehicle with the front wheels well clear of the surface. They are spectacular but slow the elapsed time. WHEEL TUB: The wheel arches in a standard-sized car limit the size of tyres. Racers either have to jack the rear of the car up to gain clearance (a move which adversely affects the vehicle's handling) or fabricate a wider and higher wheel tub to accommodate large race tyres. WHEELIE BARS: Used to prevent excessive front-wheel lift.